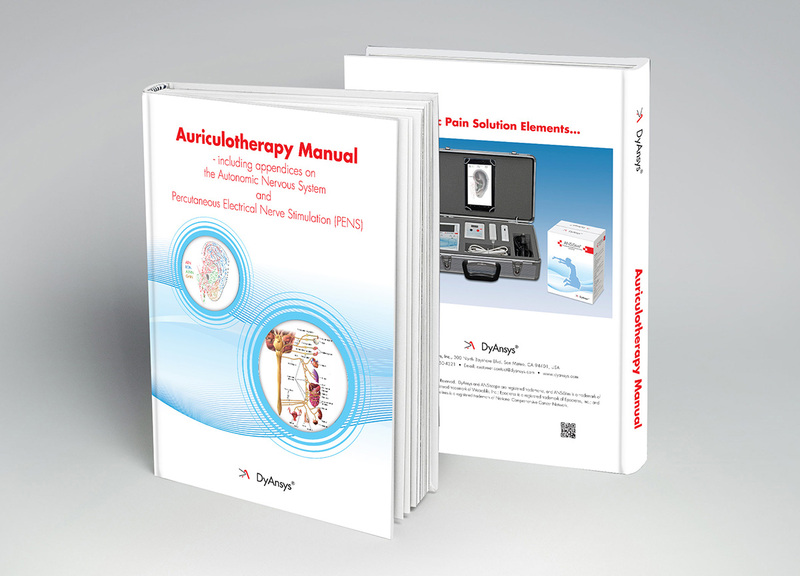 The Auriculotherapy Manual, DyAnsys Edition, offers an in-depth evaluation of the theoretical and clinical underpinnings of auriculotherapy describing and illustrating over 200 auricular stimulation points and more than 200 auricular percutaneous electrical nerve stimulation (PENS) treatment protocols for clinical disorders ranging from chronic pain to substance abuse to visceral and neurological disorders. These protocols are also programmed into the ANSiLite controller that drives the programming/testing system for auricular neurostimulation using the DyAnsys Primary Relief®. 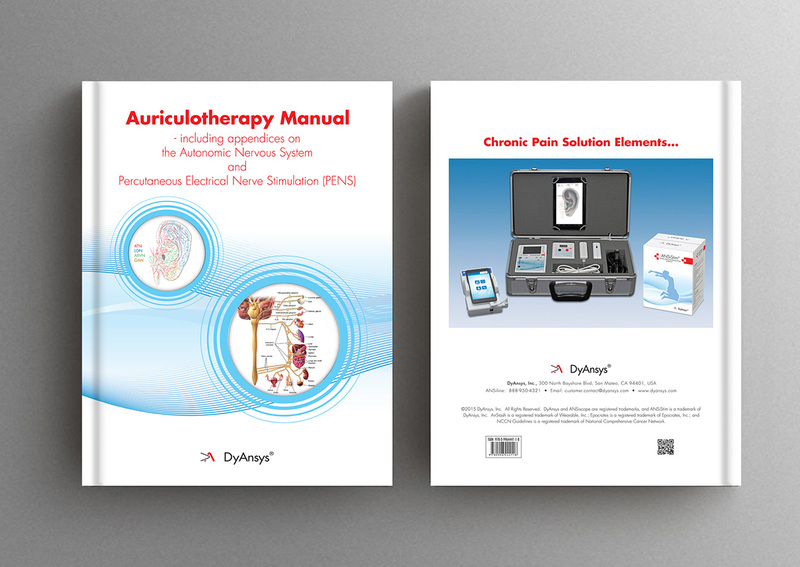 The DyAnsys® edition of the Auriculotherapy Manual incorporates a modified version of Dr. Terry Oleson’s original Auriculotherapy Manual and new appendices on the autonomic nervous system and auricular PENS. The modifications include changes to make the manual applicable to three lead auricular PENS as represented by the DyAnsys Primary Relief®. There are an expanded number of auricular landmarks to guide the practitioner in accurately determining the precise location of hidden ear points on the 3-D model. These landmarks further reveal the varied depth perspectives of the external ear. The ear reflex points presented in this manual are based on systematic research conducted at the UCLA Pain Management Center along with extensive clinical findings of medical doctors and acupuncturists in China and Europe over the past 50 years. Scientific and clinical information from the most recent international symposia of auriculotherapy have been used to update the scientific and clinical knowledge presented in this DyAnsys edition. Each chapter is organized in the same basic order, beginning with an introductory overview and progressing to the main topics in the chapter. The book is concise and clear enough for students yet provides sophisticated clinical approaches that allow experienced practitioners to enhance and complement their existing treatment strategies. Posters on Auricular neurostimulation and the Autonomic Nervous System are optional companion pieces to the book.